Sage CRM offers the advanced functionality needed for effective sales force automation, marketing and customer care across industries. Sage CRM is available integrated with Sage Accpac or as a standalone application. The deployment and access modes of Sage CRM are what sets it apart from competitors. 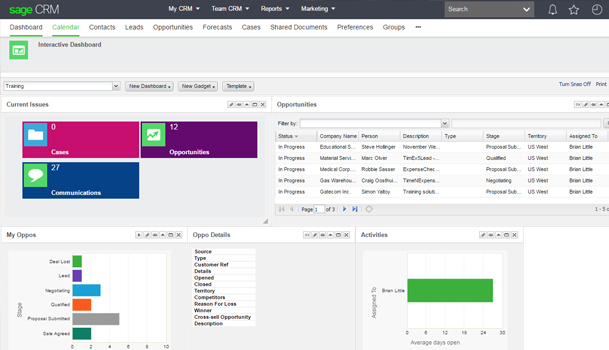 Sage CRM is rapidly deployable in-house on your network server or as an application hosted by Sage Software. In either deployment mode, the system is accessed via a Web browser, anywhere, anytime. Further, mobile users can access the system live on their smartphone’s browser, on the fly!